Walt Disney always envisioned the studios that bear his name remaining relevant by consistently taking creative risks and doing the unexpected. Heading into the 1940s, he crafted an entirely new division of the studio called the Character Model Department, which focused solely on the details of character development. 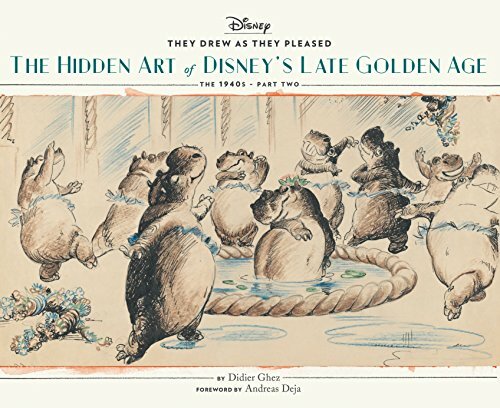 This latest volume from famed Disney historian Didier Ghez profiles six remarkable artists from that department, sharing uncommon and never-before-seen images of their influential work behind the scenes. With vivid descriptions and passages from the artists' journals, this visually rich collection offers a rare view of the Disney artists whose work gave rise to many classic Disney characters, and who ultimately rewrote the future of character creation in animation.